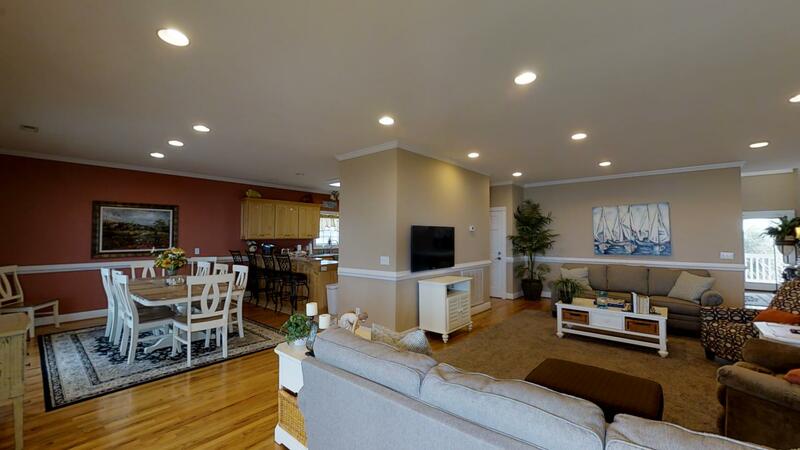 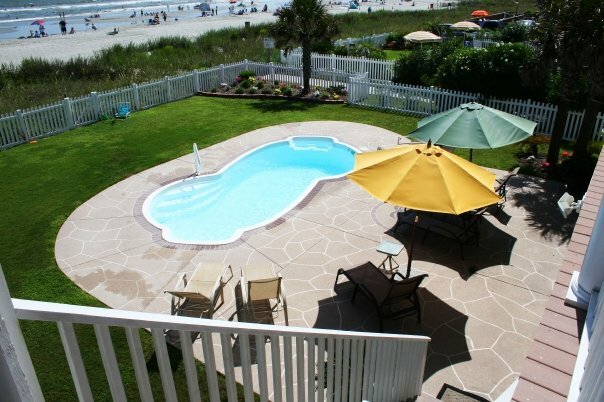 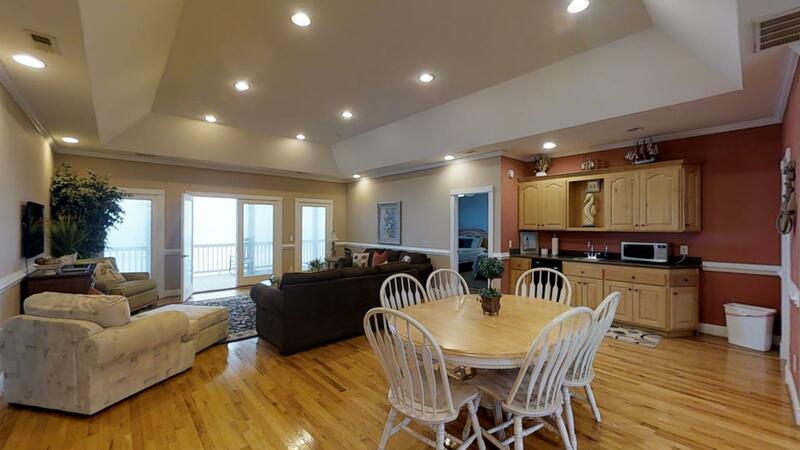 Your group will enjoy a dream vacation when staying at the Anderson Cottage in the Cherry Grove section of North Myrtle Beach. 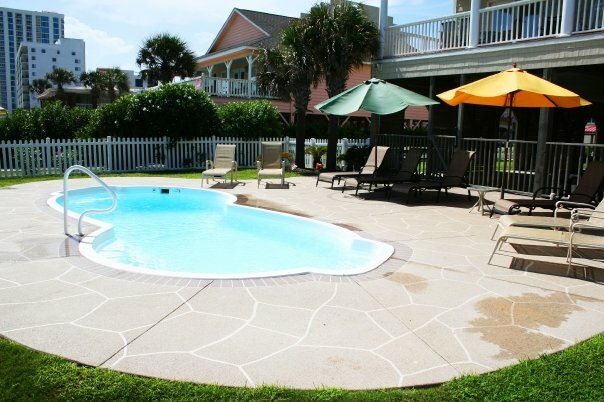 A stone’s throw from the water, you can get up in the morning and put your feet right in the sand. 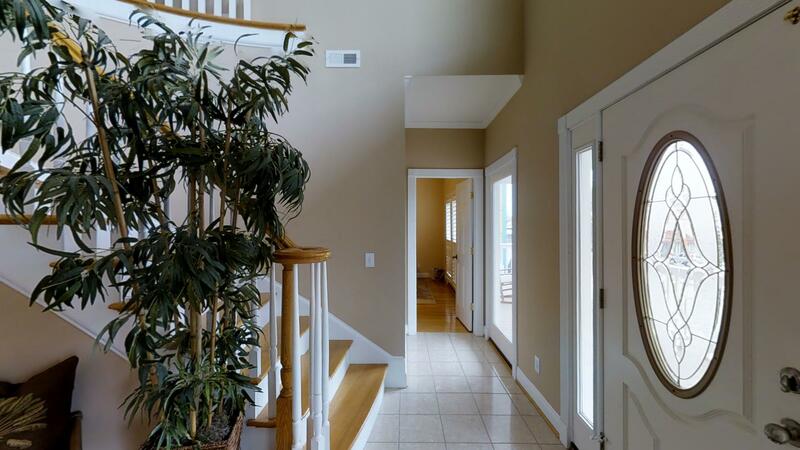 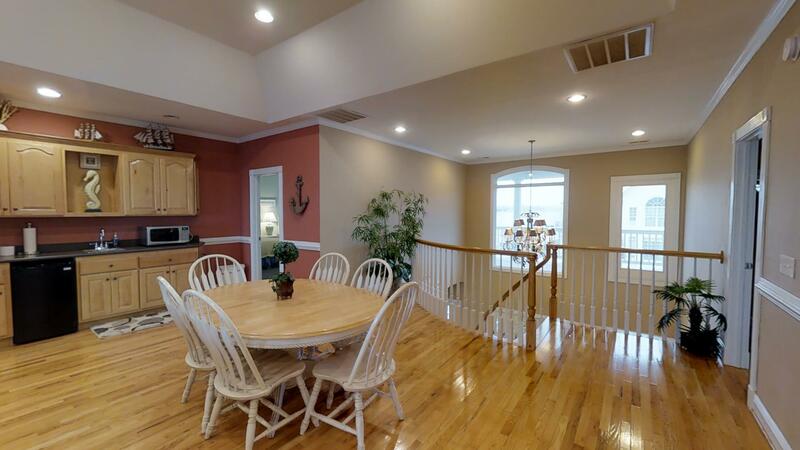 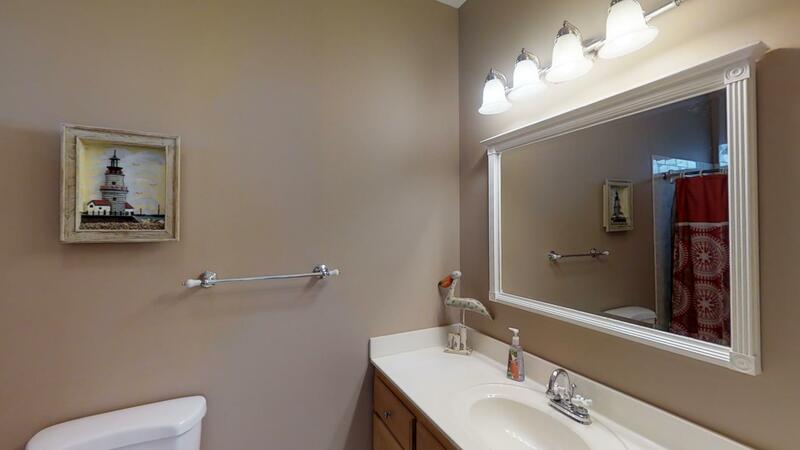 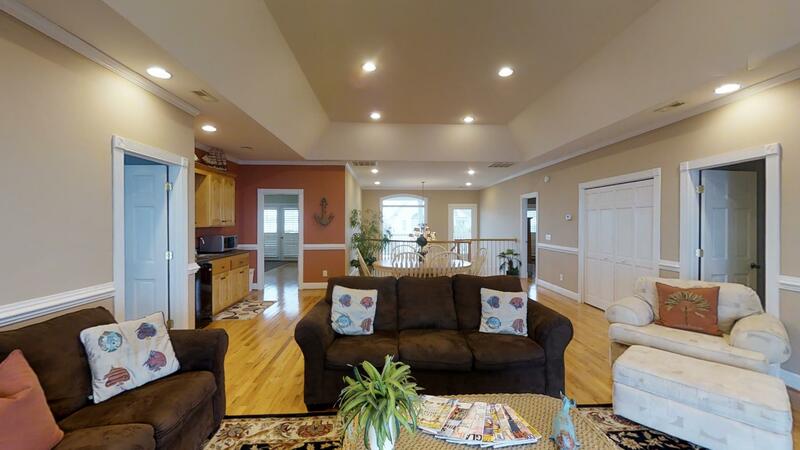 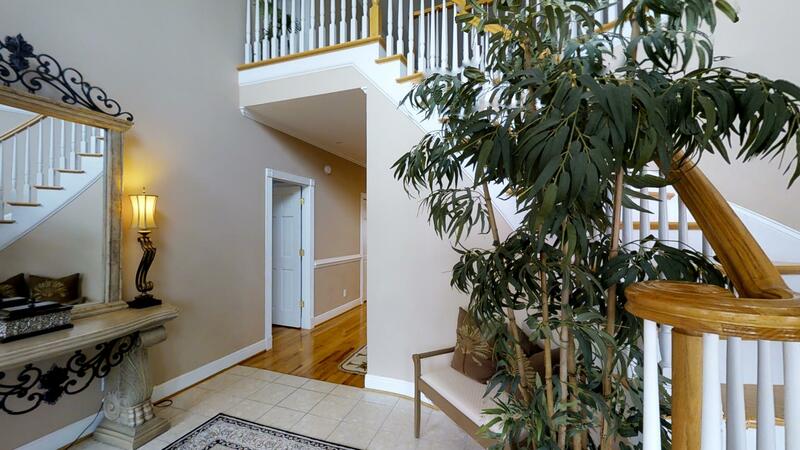 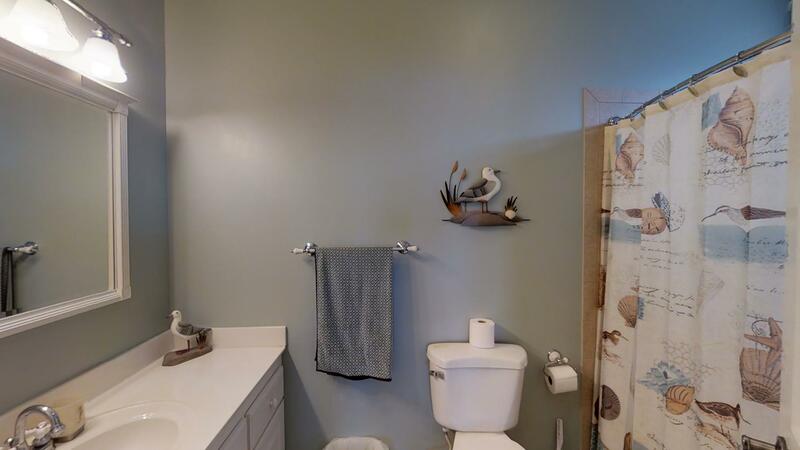 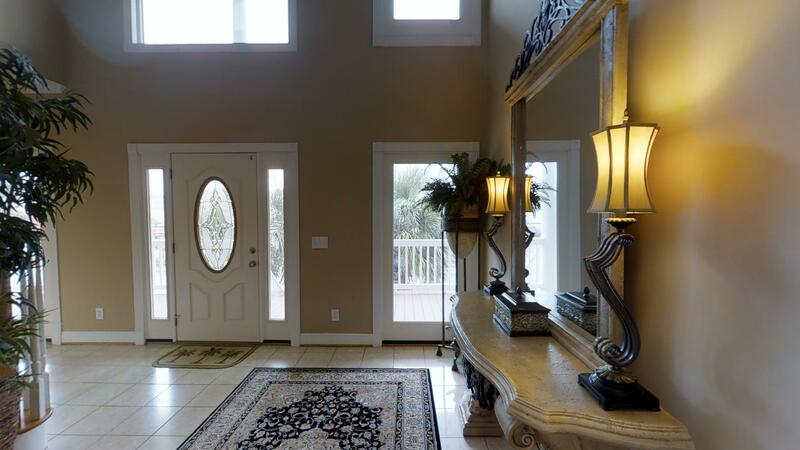 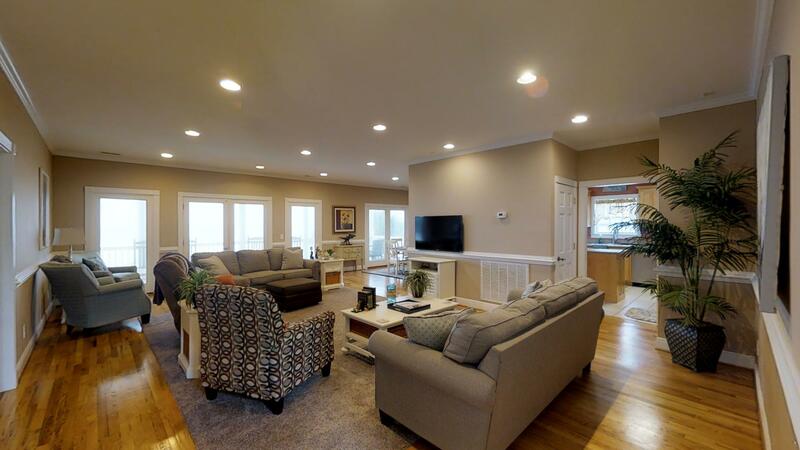 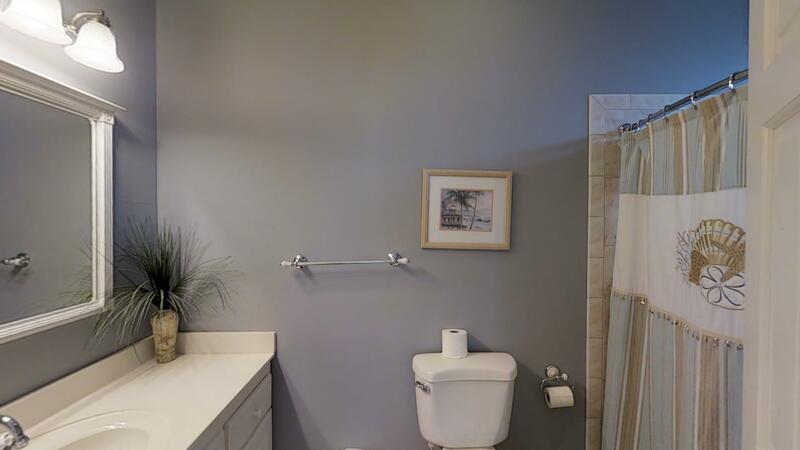 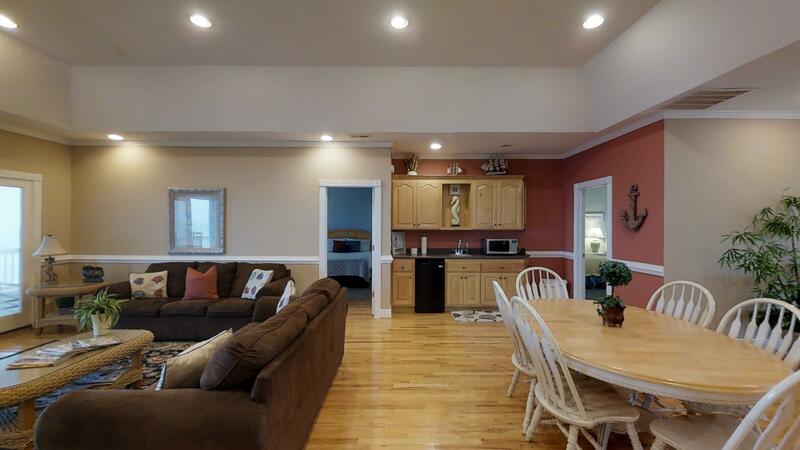 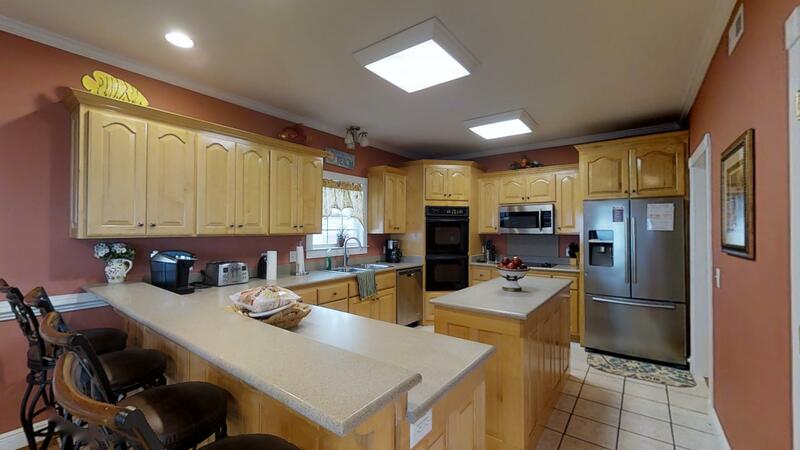 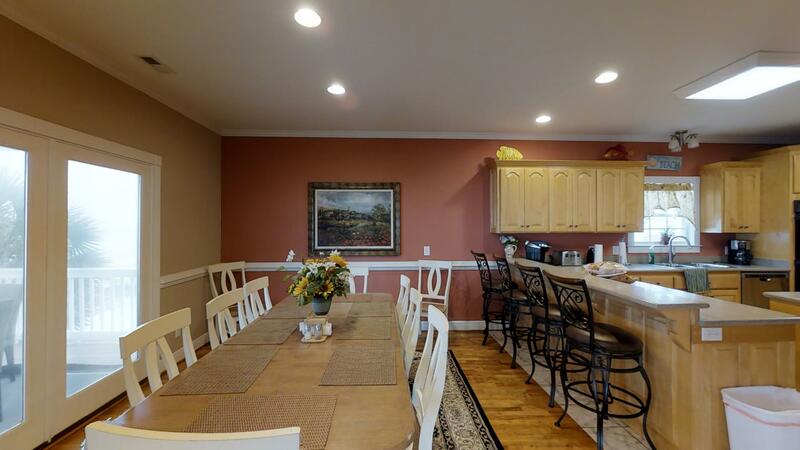 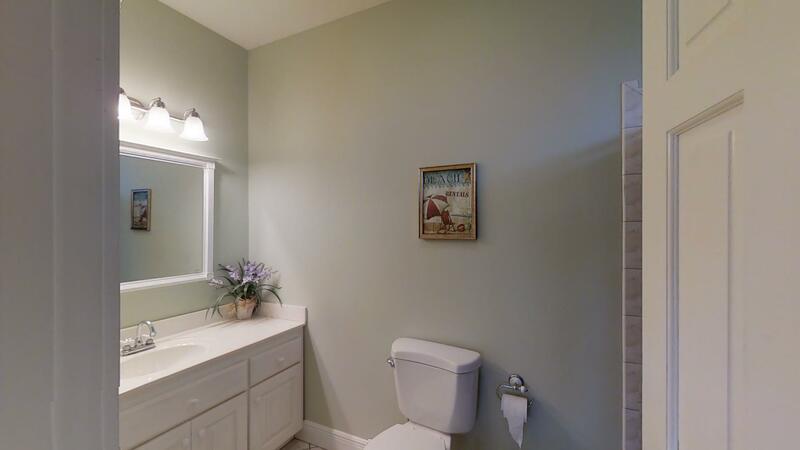 Spacious and grand, this property offers plenty of room for you all to enjoy one another while also having privacy in your own corner of the house. 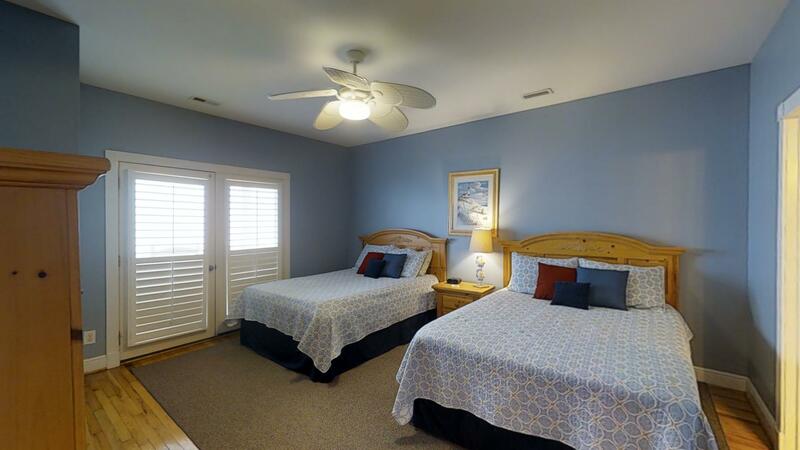 Ideal for multiple couples, it has two master suites with king size beds along with five bedrooms with two double beds for sleeping. 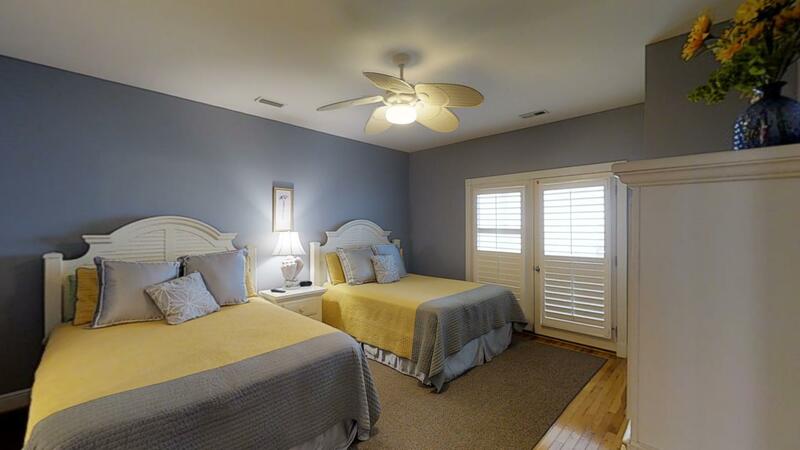 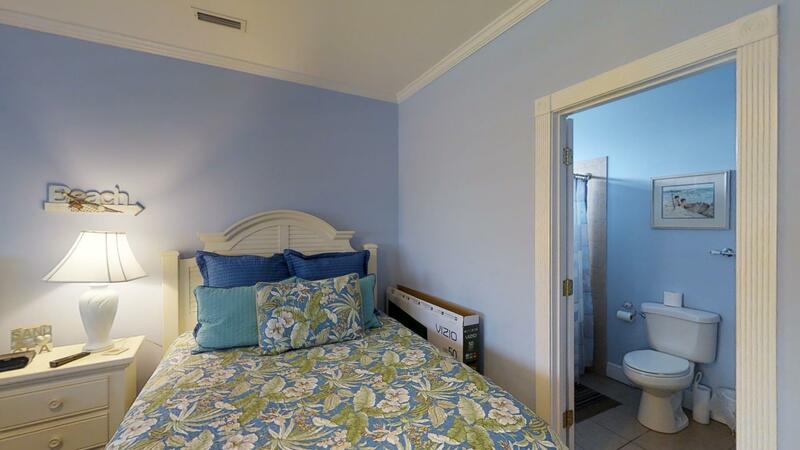 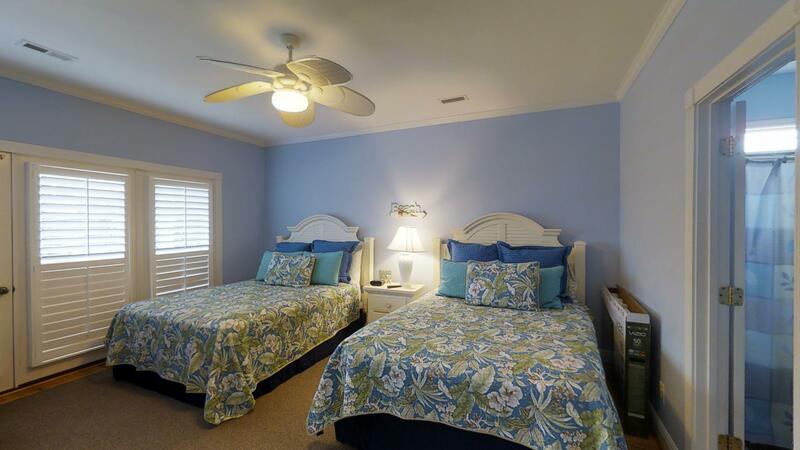 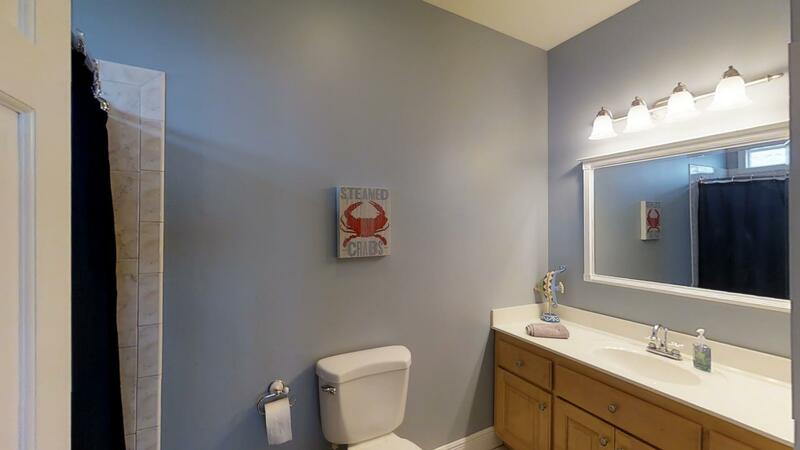 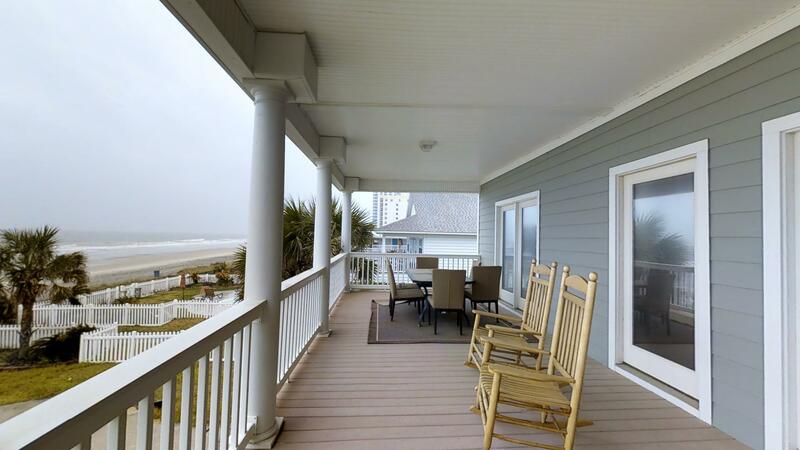 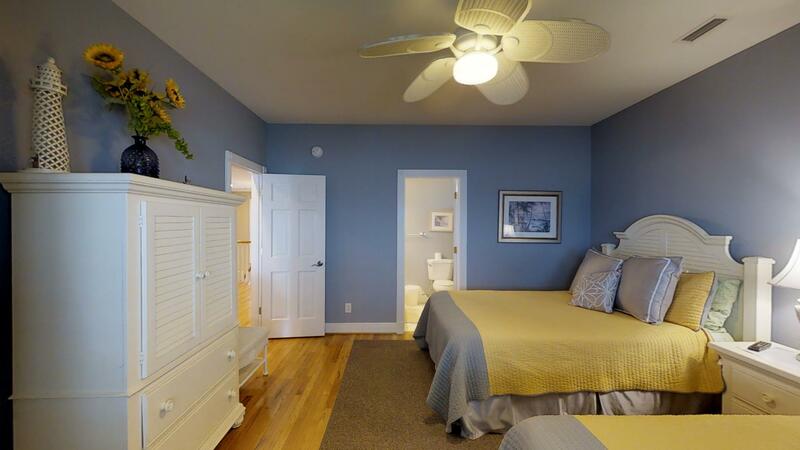 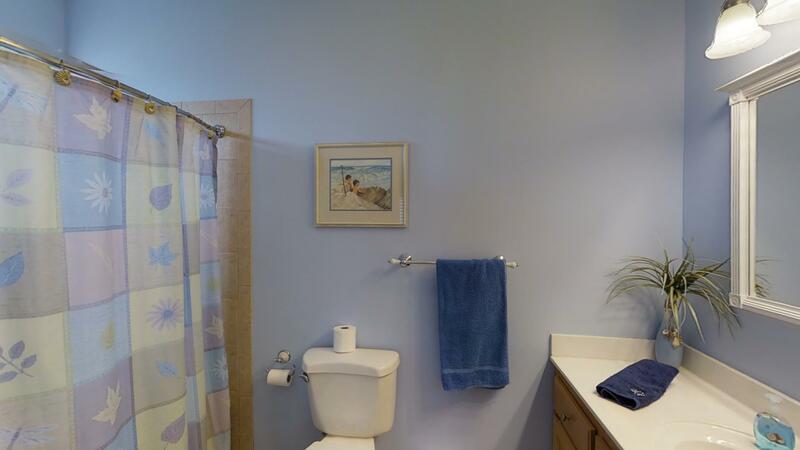 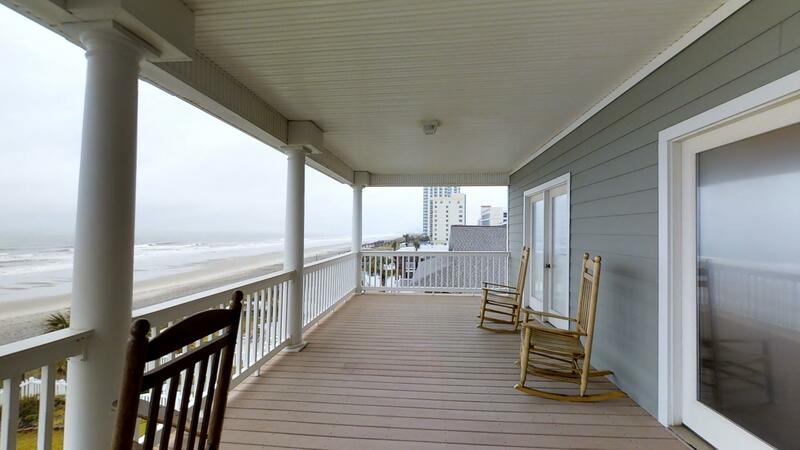 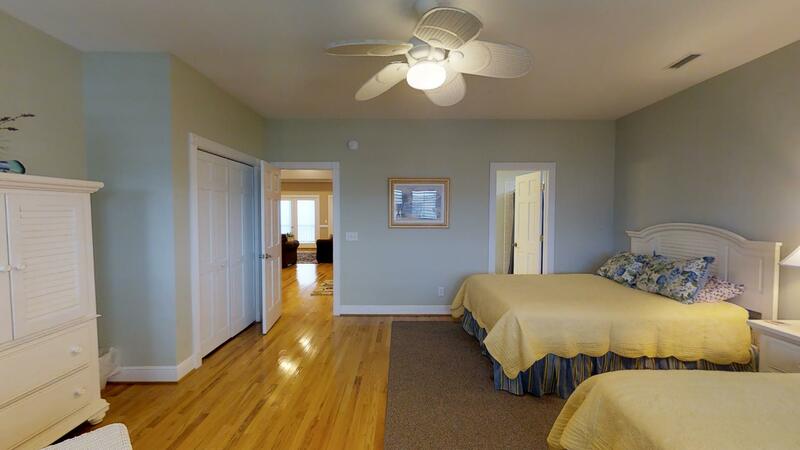 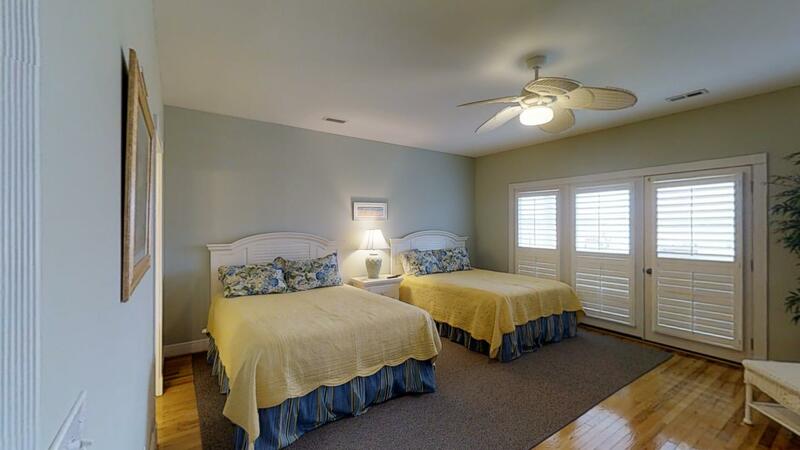 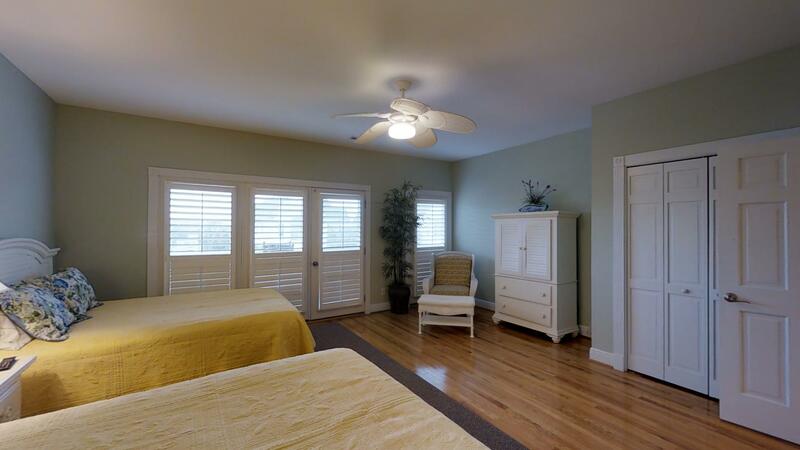 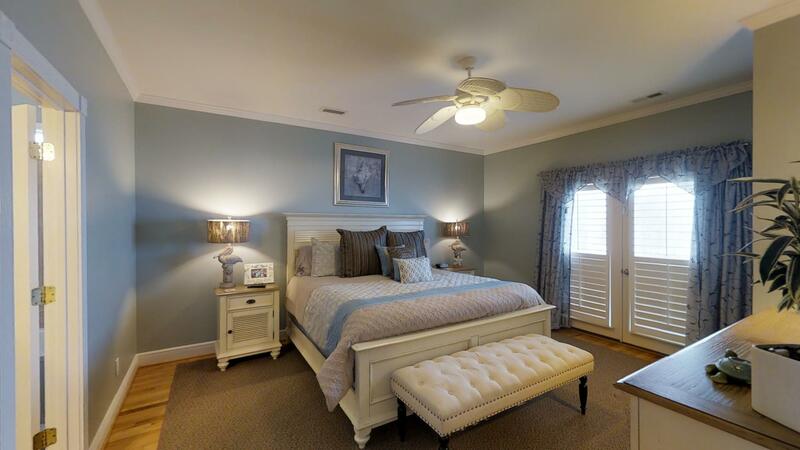 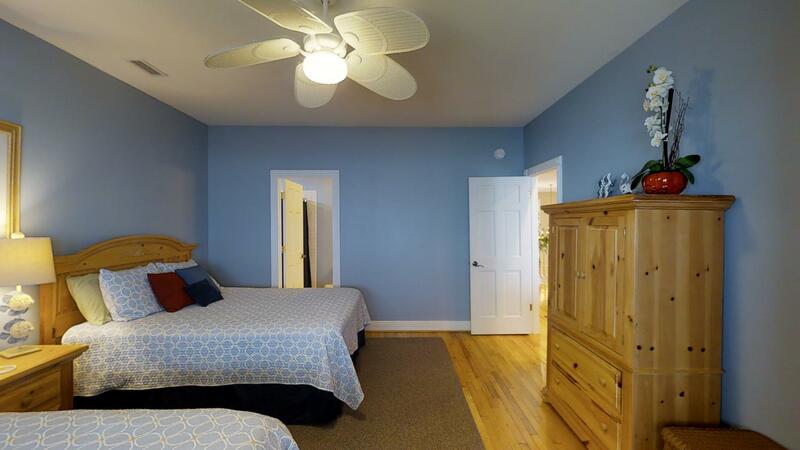 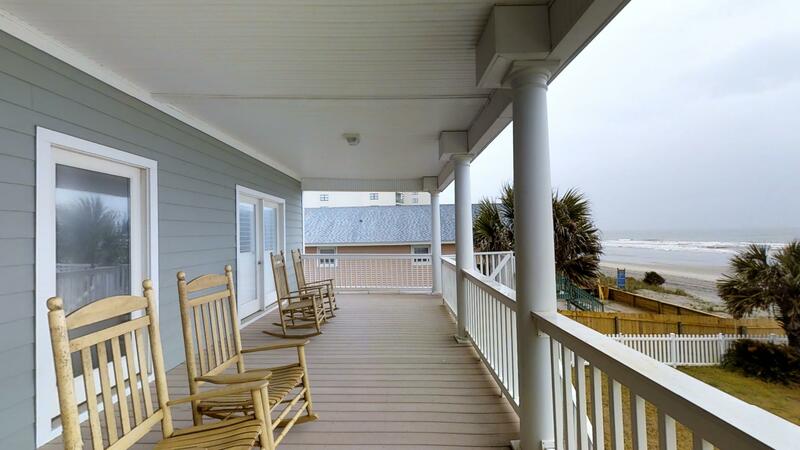 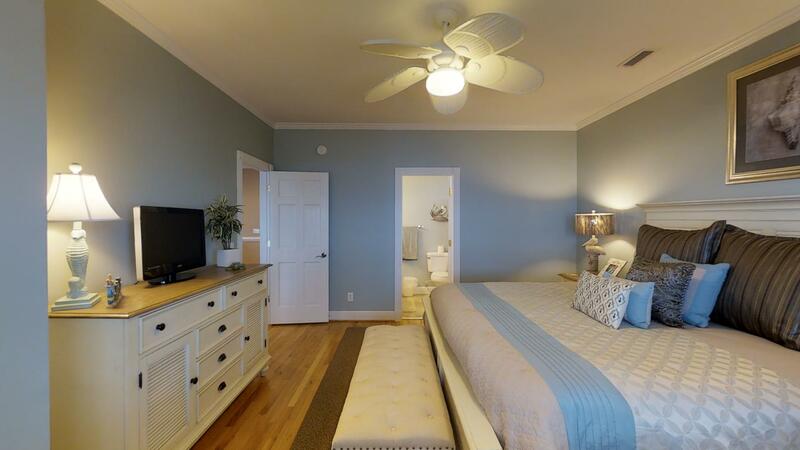 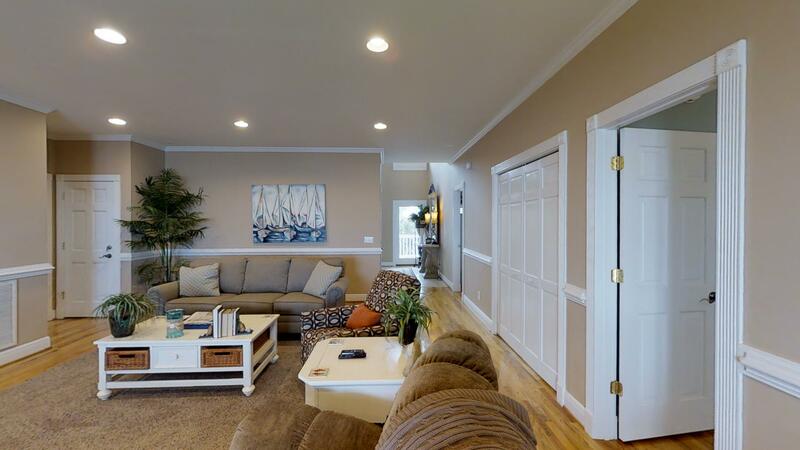 Each bedroom has a private bathroom with porch access and ocean views. 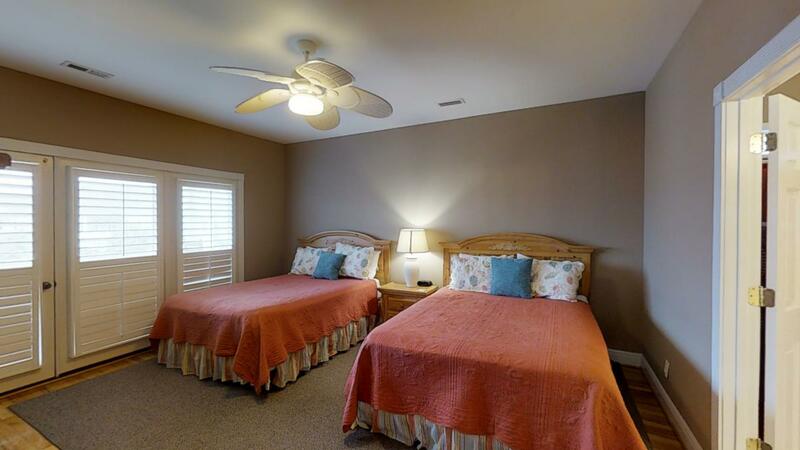 The bedrooms are also equipped with a television and cable t.v. 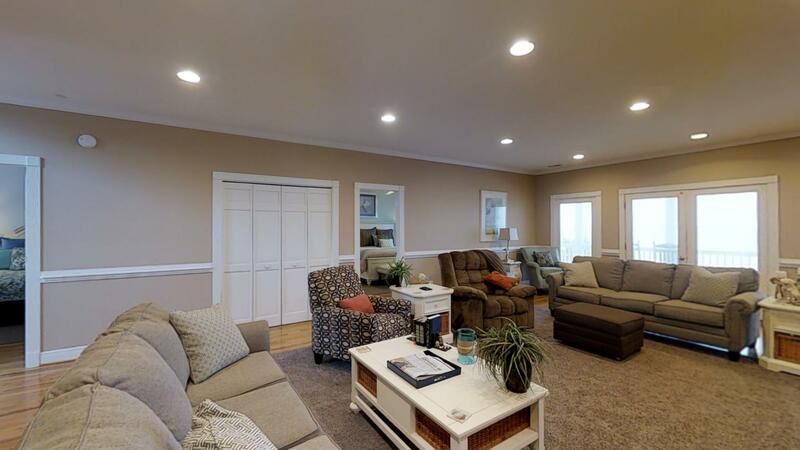 for late night movie watching or catching up on the morning news. 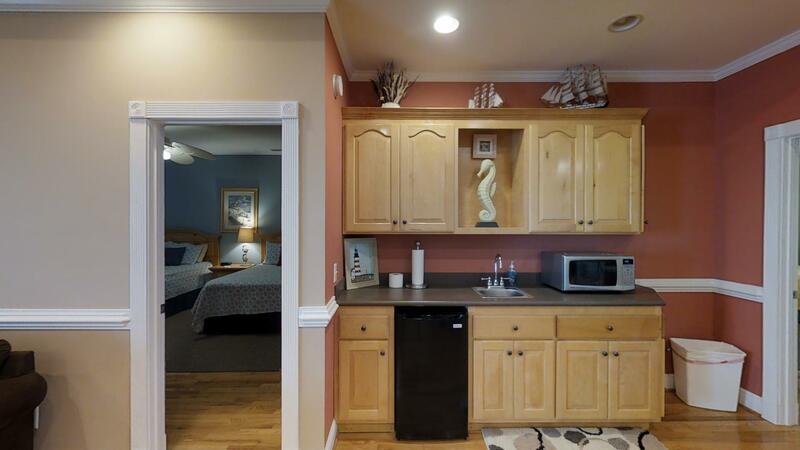 With its chef’s kitchen, there is no need to leave this home for anything except frolicking along the beach. 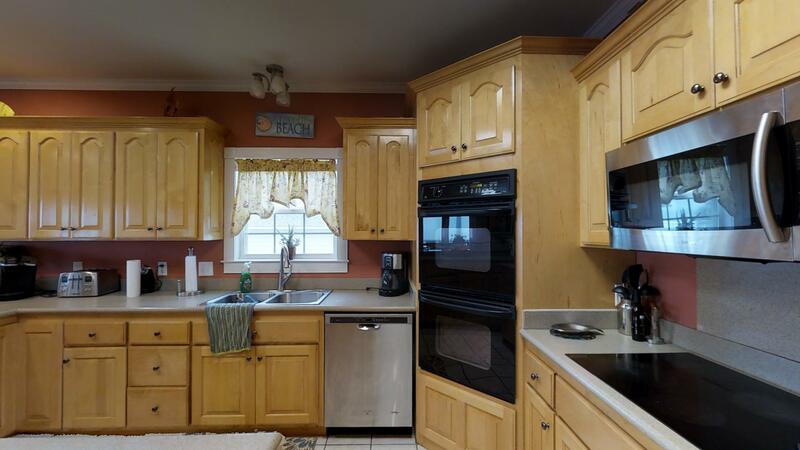 Equipped with a microwave, dishwasher, side by side refrigerator and double oven, this kitchen is fit for preparing a gourmet feast. 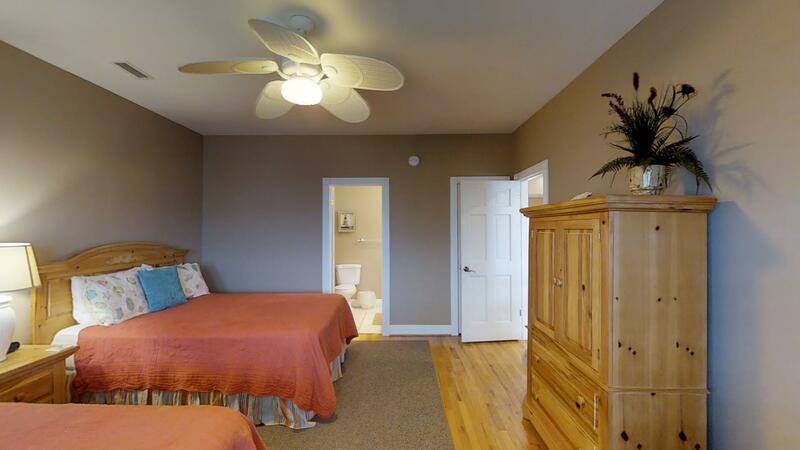 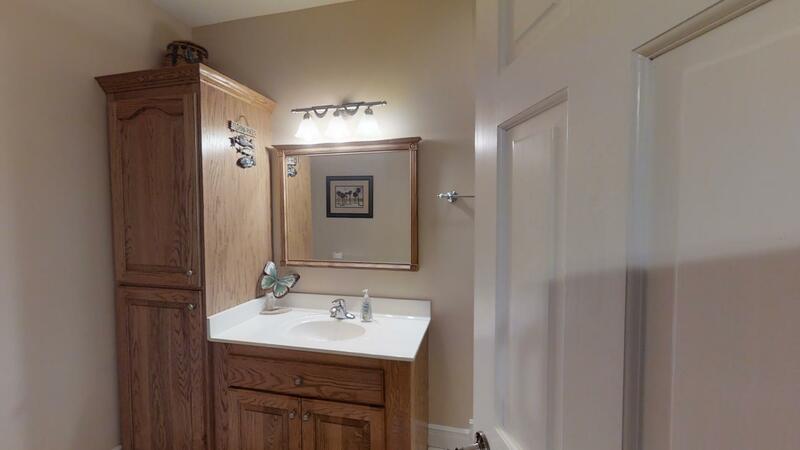 For added convenience, there is also an onsite washer and dryer. 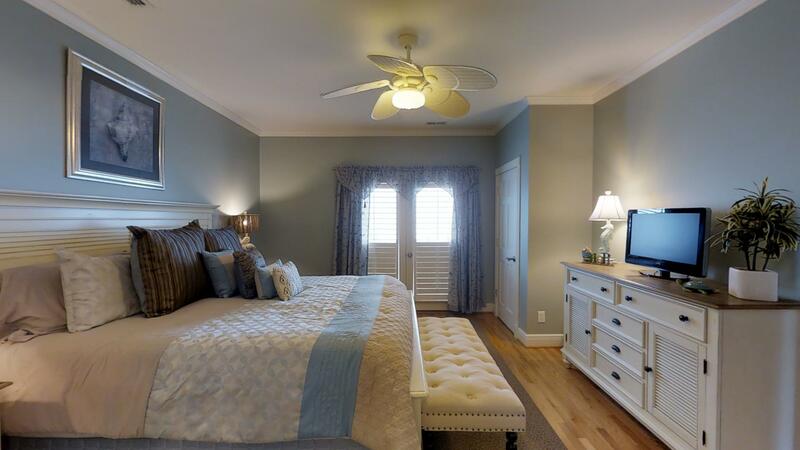 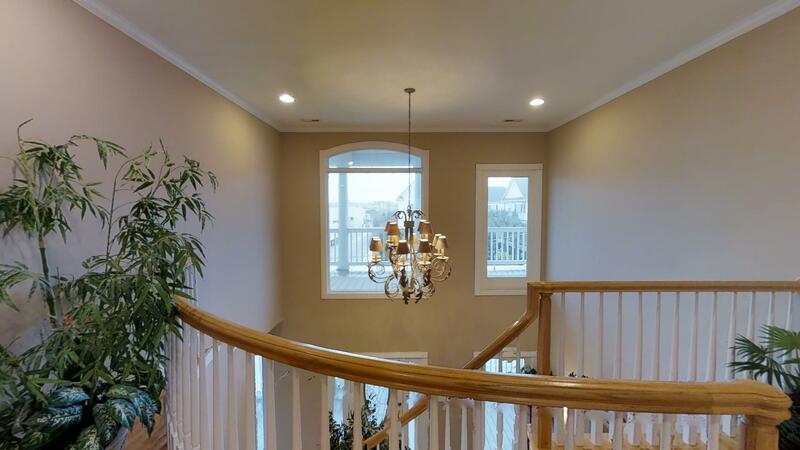 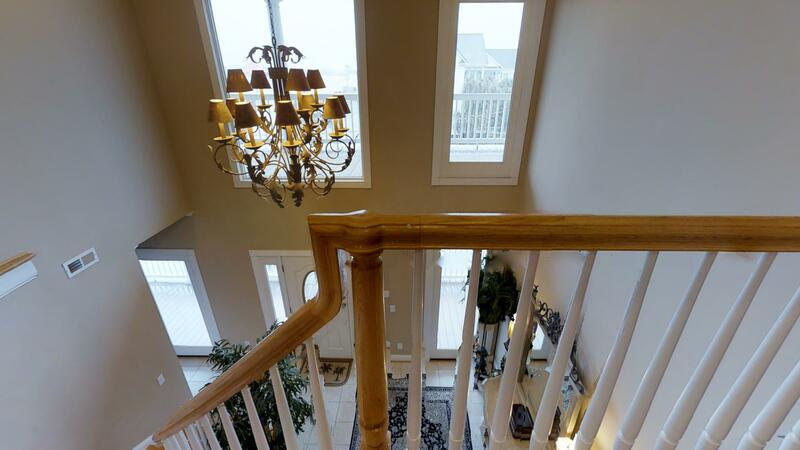 Everything about this property is luxurious and splendid including its décor which features hardwood floors, wooden blinds, upscale furnishings and a spiral staircase. 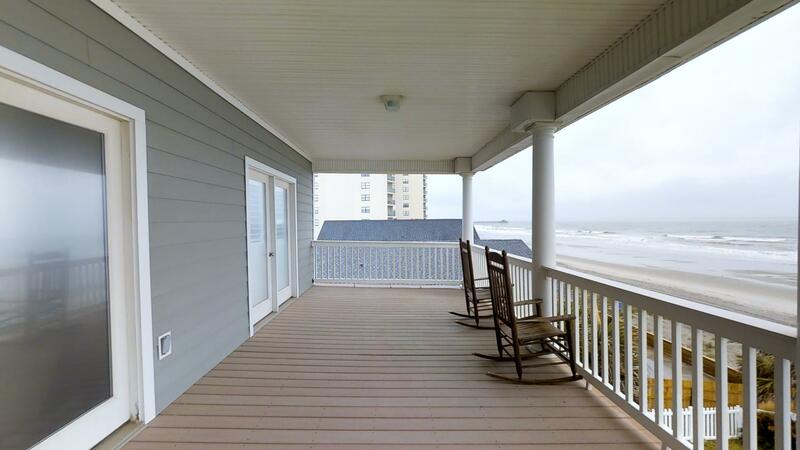 Its outside is just as magnificent with its outdoor swimming pool, fenced-in lawn, patio with grill and wrap-around porch offering panoramic views of the Atlantic Ocean. 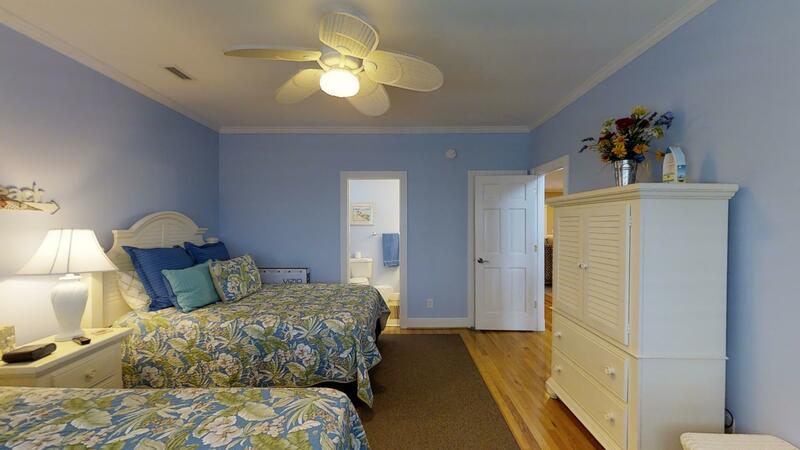 Just steps from the Atlantic Ocean you’ll get refreshing ocean breezes throughout the day. 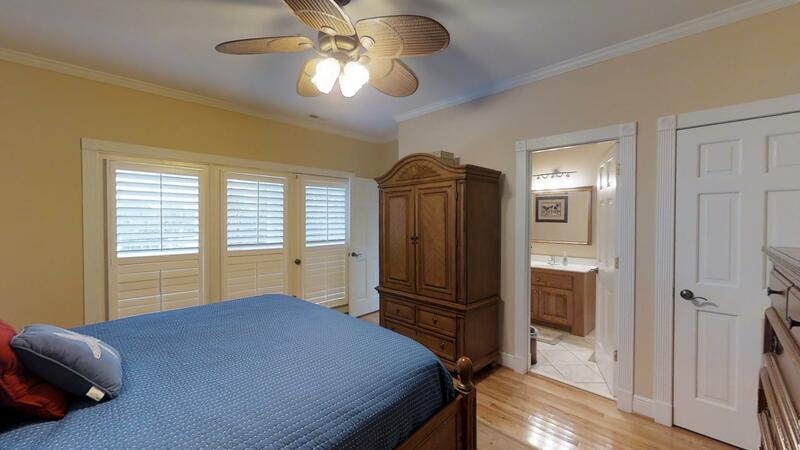 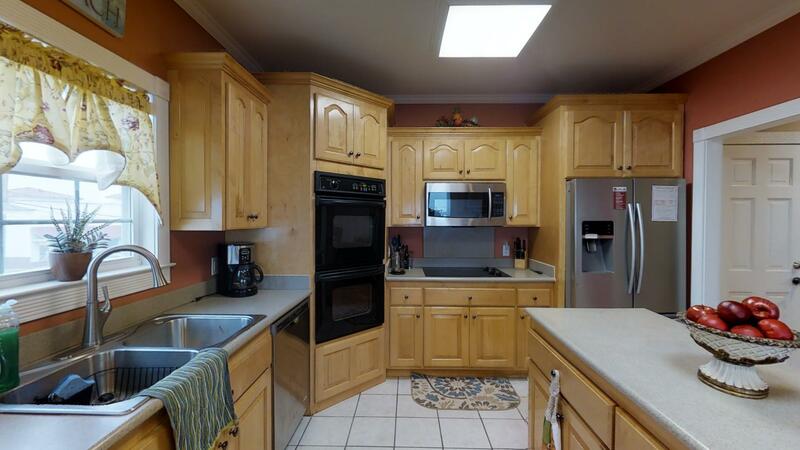 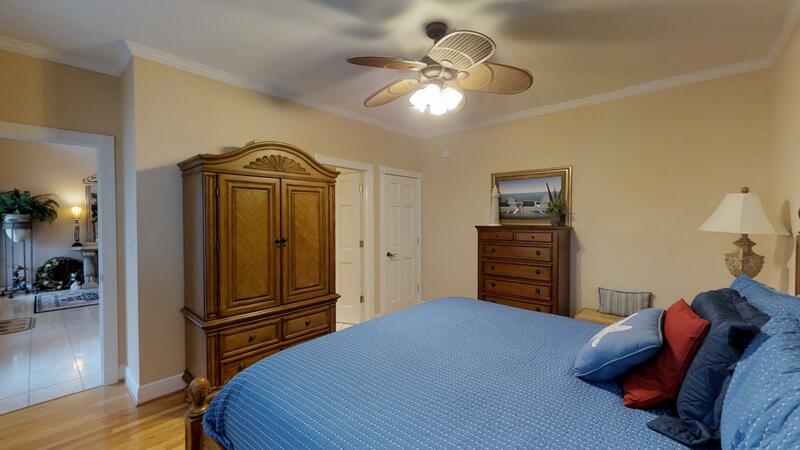 However, should you get warm, this property is equipped with numerous ceiling fans and a central air conditioning unit.